I survived. I couldn’t believe that I can trek all the way to the Taal Volcano crater and back down without the help of a mighty horse. Whew! It was a fine day and the trip started at 7:30 AM from Market! Market! Taguig City. We traveled using Itoy's van to Talisay Batangas where the TLYC (Taal Lake Yacht Club) is located. (If you’re interested in checking out what TLYC can offer, click this link for more information including its location: http://www.sailing.org.ph/tlyc/map.html). We've reached the place at around 9:30 AM and our first agenda: board a boat going to the volcano. The boat ride costs Php2800 which is good for 5 persons. There were eight of us so we rented 2, 4 persons in each off to the island where we have to start our trekking. We paid 50 each for the tourism fee and we've decided not to rent a horse that costs a whopping 750 pesos- either one way or two. Then we've started to trek. Two from our group decided to rent a horse (Grace and Itoy). The rest ignored the heat and were enjoying the trekking and picture-taking. We were all in high spirits when we've reached half of the road. We rested for 15 minutes before continuing our trekking. Grace and Itoy lead the group was guided by the horsemen while we followed our tour guide. Before leaving the crater, we've done lots of things: we took a lot of pictures, ourselves and that of the crater; we ate, share stories, cracked jokes and blinded ourselves with a marvellous place. Some tourists swam the crater, some just came, took pictures and go. 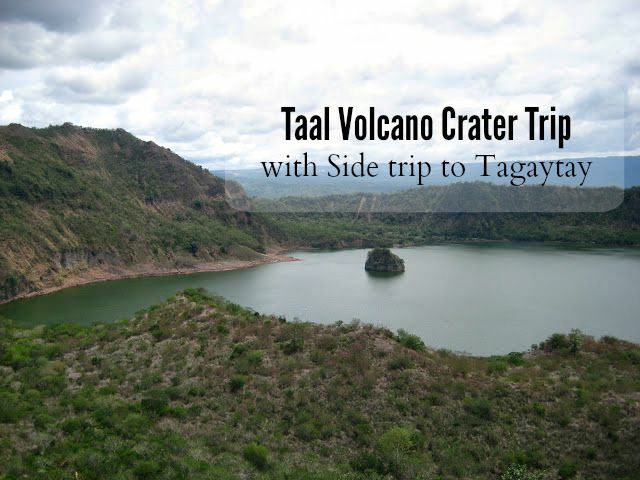 Children, teens, adults, young adults and our lovely senior citizens—age clearly hasn't stopped them from killing time in Taal Volcano Crater. It's time to go back to TLYC and fix our tired but contented selves and head towards Tagaytay to grab a lunch. It was already 2 PM when we've placed ourselves in the arms of Leslie's, one of the popular restaurants in Tagaytay with the overview of the Taal Volcano. After lunch we bought coffee from Starbucks then we went to Picnic Grove for sight-seeing. There were Zip lines and Cable cars (weekdays 100 one way and 200 two-way, for weekends 200 one way and 300 two ways). After fully exhausting ourselves, we've decided it’s time to head back home. In the van, we all look so tired and almost not wanting to say anything but we knew, come Monday, the room would be a notch noisier because of the stories we have. That's the end of our enjoyable trip. See you next time guys!